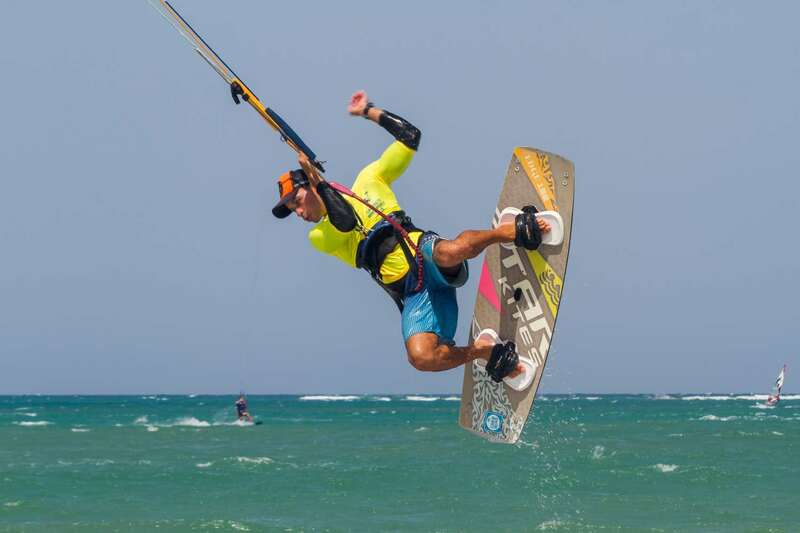 Cabarete Windsports Club is located in the middle of Cabarete Bay in front of the hotel “Villa Taina”. Our beach is the widest in the whole bay and on the water it never gets crowded. 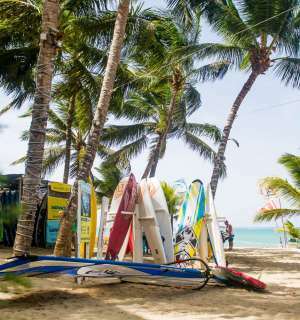 It’s the only location in Cabarete from where you can start Windsurfing, Kitesurfing and Stand-Up-Paddling right away! 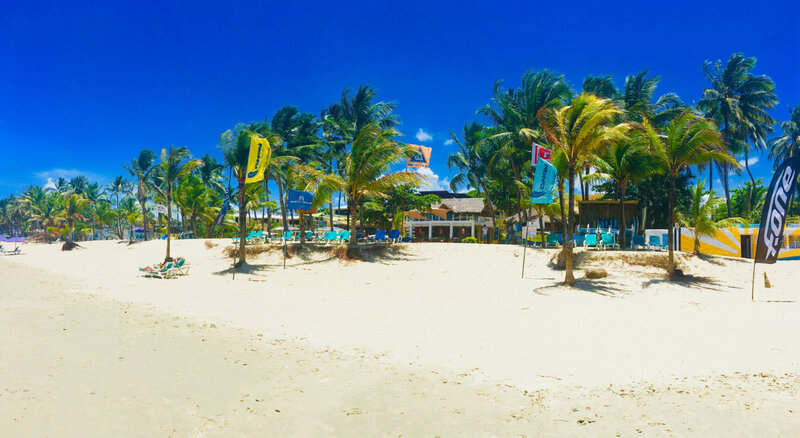 Sideshore wind from east-southeast in the safe bay and a reef with a breaking shore 800m/ 2600ft in front of the beach bring a lot fun to every Windsurfer and Kitesurfer! The bar and restaurant of ” Villa Taina” are a cozy meeting point for our clients from all over the world, enjoying food and drinks during the day and a sundowner after their sessions on the water. All restaurants, clubs and bars on the beach are just a few steps away. 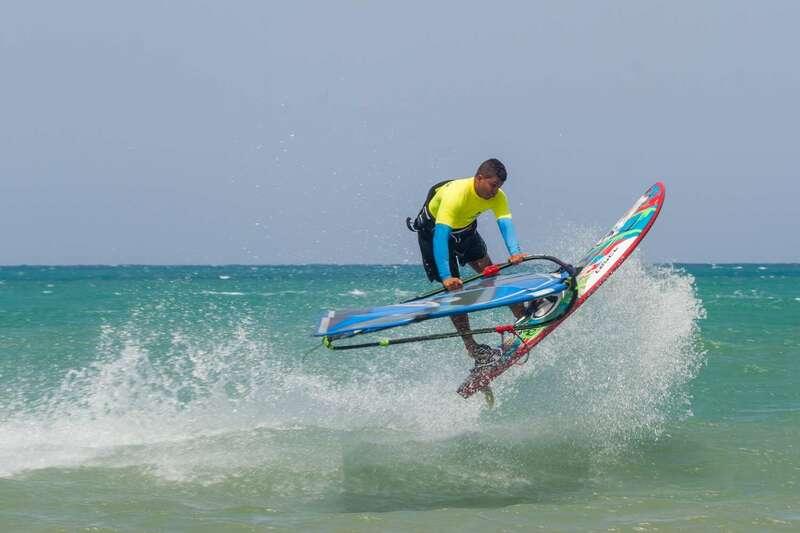 Established in 1989, called “Happy Surfpool” , our center was one of the first windsurfing schools in Cabarete. In all these years we hosted clients from every continent and gathered lots of experience in attending the wishes of wind- and kitesurfers. 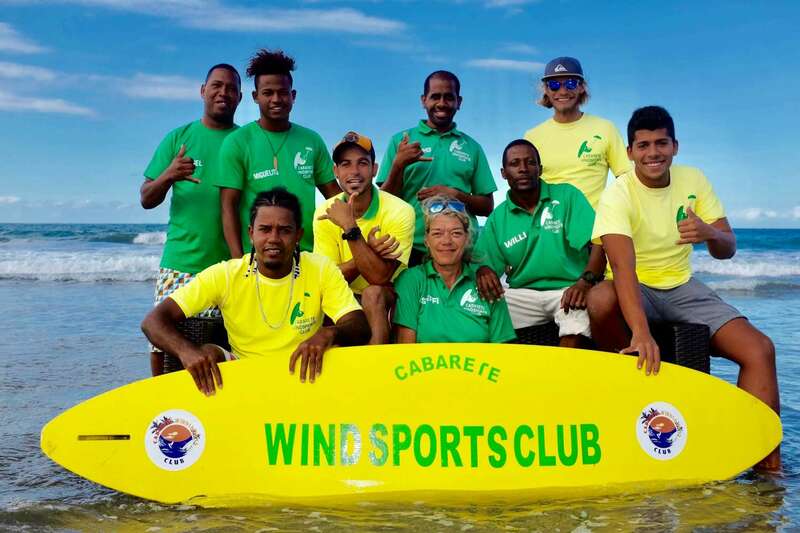 Cabarete Windsports Club is an approved VDWS International Watersport Center. All our instructors are certified. With Ezzy sails from 4 to 7,5 m2, all rigged on Carbon RDM Masts, and Tabou Boards from 80 to 145 l you will find the perfect gear for your level at our Watersport Center. Our Instructors will be happy to get you started with the right equipment or to improve your skills. They teach in English, German and Spanish. We also offer windsurf storage. Starting with 25 US$ per hour, we’re also offering daily and weekly packages. Starting with 40 US$ for one lesson, you can also book courses and packages combaining lessons with rental. You can start and land your kite right in front of our center. There is always enough space for everyone. 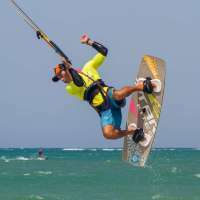 We are offering the current line of Gaastra Kites from 7 to 14 m2. Our instructors teach in English, German, Spanish. All are certified with VDWS or IKO licenses. We also offer kitestorage. Starting with 30 US$ per hour, we’re also offering daily and weekly packages. We’re coming here for many years and are always happy to see the same guys again. My kids love to take windsurfing lessons with Franzi, I started kitesurfing two years ago with Delson and my husband can go windsurfing for hours in the afternoon. Perfect location for the whole family! Thanks to Manuel who repaired my Kite twice and was always helpful. Friendly and funny staff in a very relaxing caribbean atmosphere. Kitesurfing was big fun at this location! My wife and I tried to learn kite surfing at many destinations. This was the best place. The kite instructors teach with great passion. Many thanks to Michael and Delson! Great and authentic atmosphere. I always meat nice people at the school and at the bar. With Steffi and her dominican team it never gets boring. Next to their watersport skills they can give you any advice for restaurants, trips and so on. One of the best windsurfing spots I ever got to know. 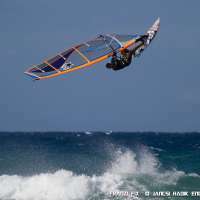 With sideonshore wind, a large beach and the reef outside I had a lot of fun in the waves! Good equipment and service!